EAG’s biotechnology experts bring extensive experience designing studies and developing assays to evaluate the presence and effects of protein expression in seeds, roots, leafs, stems and whole crops. 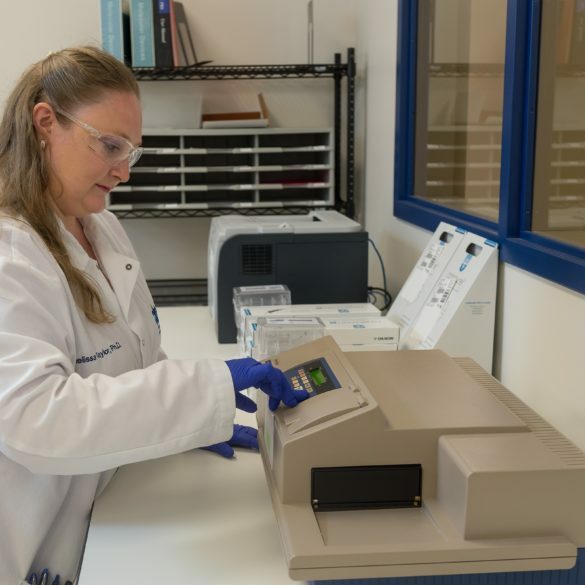 Armed with a wide variety of analytical techniques such as ELISA, HPLC, Western Blot, SDS PAGE, Mass Spectrometry, Cell-based assays and PCR, EAG scientists deliver unmatched analytical expertise to the full product development lifecycle. From early-stage protein confirmation to GLP-compliant EDSP and allergenicity testing, we help clients make faster, more informed development decisions and comply with evolving global regulations of genetically engineered crops. Protein Expression & Gene Expression Analysis: EAG scientists have extensive experience determining expression levels and the matrix within the plant where expression occurs of both single and multiple transgenic proteins; we also perform DNA sequencing to help clients optimize gene constructs, vectors and tags to direct the level and location of expression. Allergenicity/Hazard Program Design and Evaluation: In addition to providing expert advice on the types of studies required by US, EU, Japanese and other global regulators, EAG offers expert history-of-safe use (HOSU) evaluations and a broad array of testing to understand potential risk for allergic reactions or other potential hazards—from rapid DNA sequencing to determine similarity in genetic structure to other known allergens, to complex simulated gastric fluid (SGF) and simulated intestinal fluid (SIF) assays to evaluate protein stability to immunology screening for relevant biomarkers. Endocrine Screening and Other Toxicity Testing: We offer broad-based experience developing ELISA, HPLC and mass spectrometry-based assays to evaluate endocrine disruption potential in proteins, hormones and their metabolites, including VTG, thyroxine, estradiol, testosterone and others. Enzymatic Assays: Our scientists have deep expertise developing kinetic assays needed to estimate specific activity of enzymes of interest—from rate of reaction to determination of the cleavage site within the DNA strand or protein structure, to the ratio of resulting protein fragments. We also evaluate protein-protein and protein-nucleic acid interactions. Our team of biotech experts brings over two decades of protein science experience to the food, feed and environmental safety assessment of engineered crops, as well as biocides and other biologically based products.